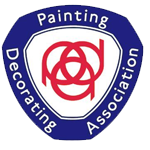 At Tony – Lee Painter & Decorators we pride ourselves on the quality and standard of our work. Below are some testimonials from our recent customers. We are delighted with the results, all the more so because of the thorough preparations… Mrs Murdoch was delighted and we both thank you for an excellent job. Thank-you for all your excellent work on the house. We are very pleased with the finished result and so we would like to thank you very much for all your hard work. Thank-you for your hard work. We will certainly recommend you to our neighbours & friends. We pride ourselves on the quality of our work and welcome our customers to provide testimonials using the form below.